This month, RHS Garden Wisley Curator Matthew Pottage opens our eyes to the resilient nature of Sansevieria which can provide an instant indoor statement. Agnes Stevenson explores the medieval-inspired formal gardens of RHS Partner Garden Dunrobin Castle. Garden Designer Jilayne Rickards discusses her practical, wildlife-friendly front garden, while RHS Chief Horticulturist Guy Barter runs through the different types of plant labels to use in your garden. Finally, RHS Garden Harlow Carr Horticulturist Aimee Beth Browning talks to The Garden magazine technical editor Jon Ardle about the easy ways to improve most types of garden soils for better performing plants. 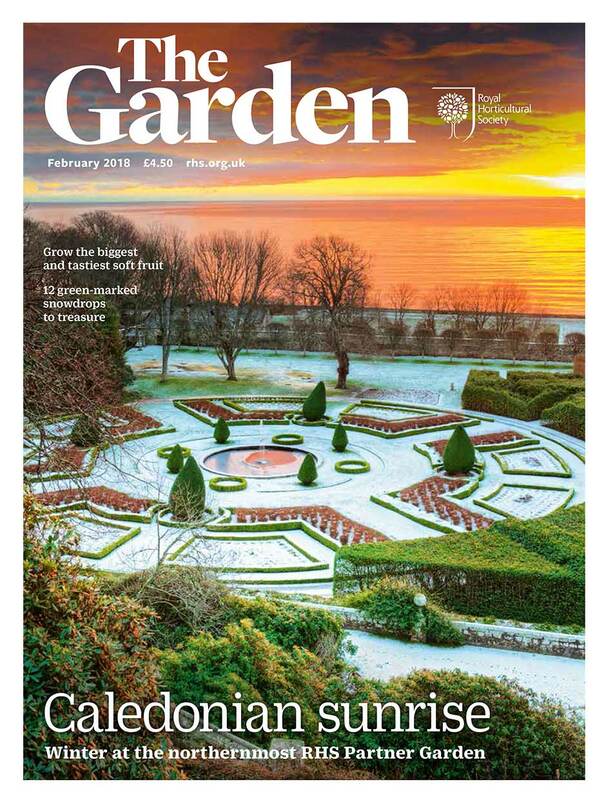 Be the first to read the latest news and enjoy free gardening tips from our experts. Discover more about the 14 new gardens joining the Partner Gardens scheme in 2018, giving RHS members even more exciting gardening opportunities. Read practical advice from the RHS Gardening Advice team, on jobs to do in the garden in February.